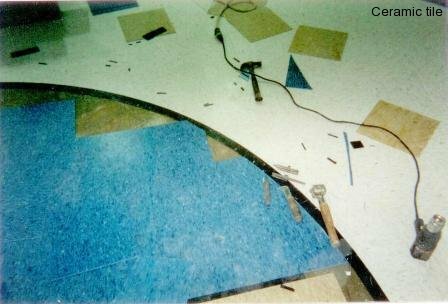 Most people use vinyl and linoleum interchangeably but they are two different products. Vinyl being manufactured from petrochemical (oil) products and linoleum is a more natural product, being made from linseed oil, resin, recycled wood flour and limestone and pigments. This makes linoleum a Green Build product and eligible for LEED points. 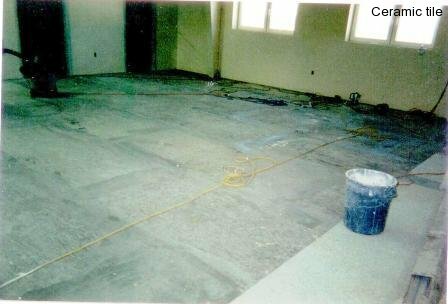 Linoleum is higher priced and more labor intensive but it lasts longer. 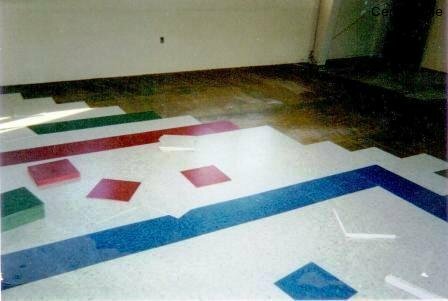 The design possibilities for linoleum are greater because of the natural colors that it is made from. Vinyl has a wide range of prices and uses from residential patterned to commercial homogenous vinyl that is used in clean rooms and operating rooms. 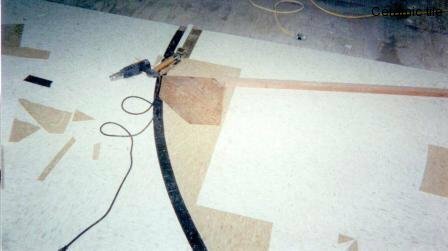 Both vinyl and linoleum are heat welded at the seams, giving you a virtually seamless installation. And both can be coved to provide a sanitary installation from the floor to the wall. Residential patterned vinyl will have some distortion of the pattern at the cove. Vinyl composition tiles (VCT) can be used where budget is a consideration for both residential and commercial. VCT can be installed by homeowner or entry-level installers. 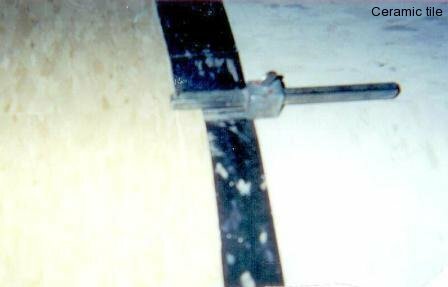 Considerations for installation are proper moisture values in the sub-floor, proper room heat during installation. 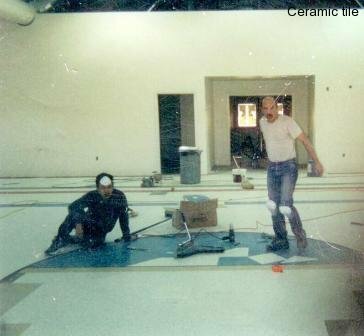 The installation of the commercial homogenous vinyl and linoleum require skilled installers where residential vinyls can be installed by the do-it-yourself homeowner or entry-level installers. Advance Concept can advise you on the material types and installation, of course taking into consideration your budget, and we offer installation by certified installers.